I am more thankful than I can put into words for all of the blessings in my life. Today at lunch, my grandfather said something really profound that I thought was worth repeating. He said that we shouldn't just be thankful today, but that we should be thankful every day, and while enjoying ourselves on Thanksgiving, we should also focus on Thanksliving. Smart man, my Papa. 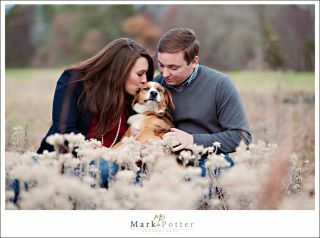 Photo courtesy of Mark Potter Photography. Isn't he fantastic? ﻿Hope you've all had a wonderful day celebrating (and hopefully stuffing your faces off) with your families.